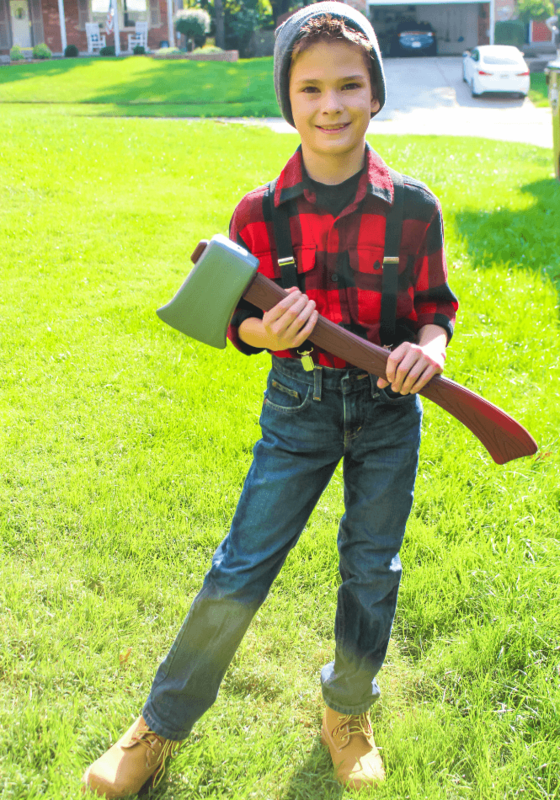 We are well into October now and it is time to grab your kids Halloween costumes. 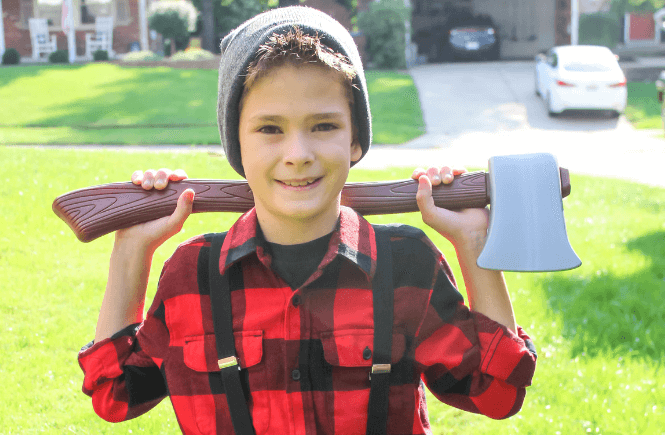 I put together this Kids Lumberjack Halloween Costume for my own son using items he already had in closet and a fake axe. 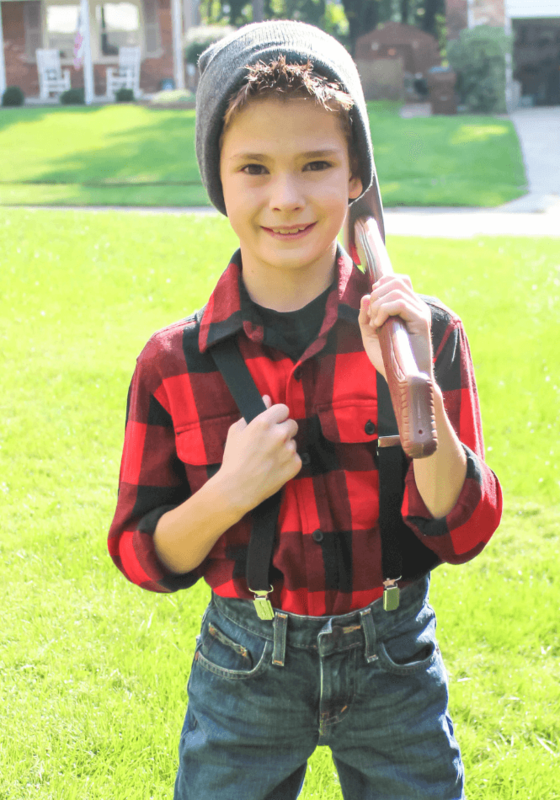 Every Lumberjack needs a cozy buffalo plaid button up that is not just great for this costume but can be worn all fall and winter long. 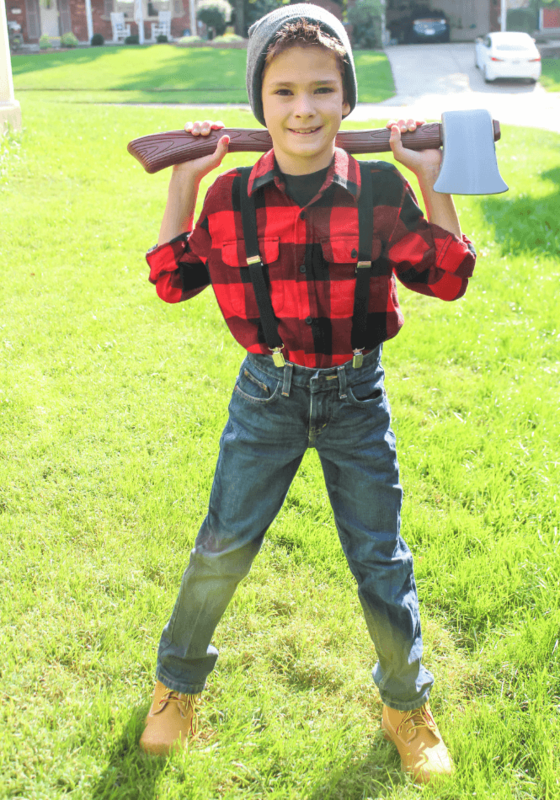 Brown work boots are another Lumberjack must-have. Grab boots that are comfortable and waterproof to last your child through the winter season because these will go with most outfits in your kids closet.